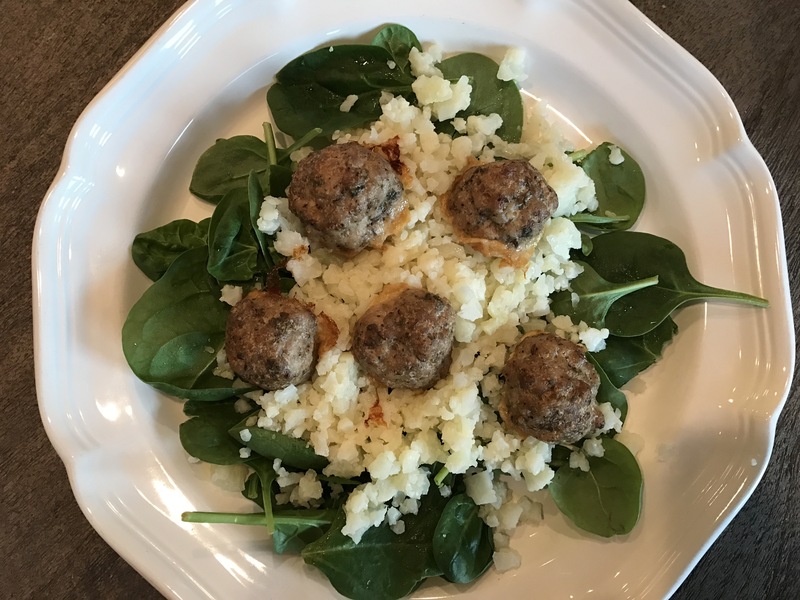 I’ve made this recipe a few times now and we really like it! It initially drew my attention because I love Prague and really enjoyed experiencing the Czech culture when I visited with the Aggie Wind Symphony in college. This recipe is pretty straight forward and kind of a different type of meal. 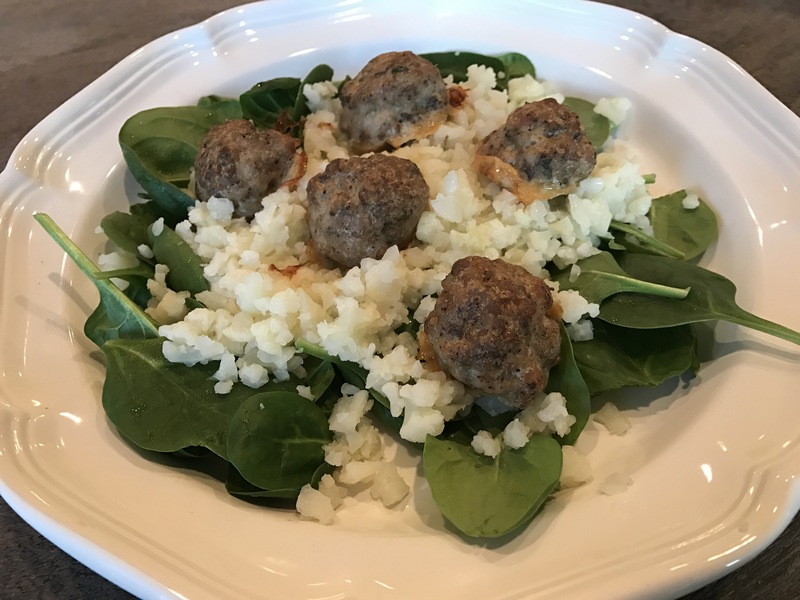 I think you can easily use these little meat ball guys cut up on salads later or even on a sandwich! It’s another recipe from the Well Fed cook book, so definitely just wanted to link that in case you are interested in purchasing your own copy! This little book has a lot of great basic info, with sections on each kind of food group, so if you are just starting out with your food changes, it might be a good one to look into. Mix together all of the seasonings together and the egg in a large bowl. Crumble the ground pork into the bowl of seasonings and mix together with your hands until everything is evenly mixed throughout the meat. Roll the meat mixture into small balls and line them up on the baking sheet. We like to eat these on top of cauliflower rice and spinach. I also like to have a little bit of mayonnaise (I know it sounds weird but it works) to dip these little guys in. Again, good leftover and even a winner in the toddler department hehe. Enjoy guys! Mom… PLEASE lemme have some of that!! !